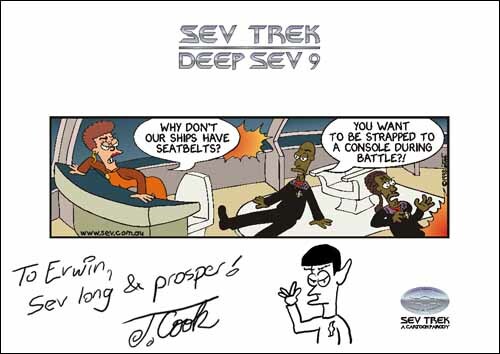 Order your own A4 print of any Sev cartoon and have them personally signed by Sev cartoonist John Cook along with a hand drawn sev character of your choice! The colour prints are on a thick 200gsm A4 paper. I sign your print with any message you request (as long as it's not too crude) plus I'll hand draw one Sev character.